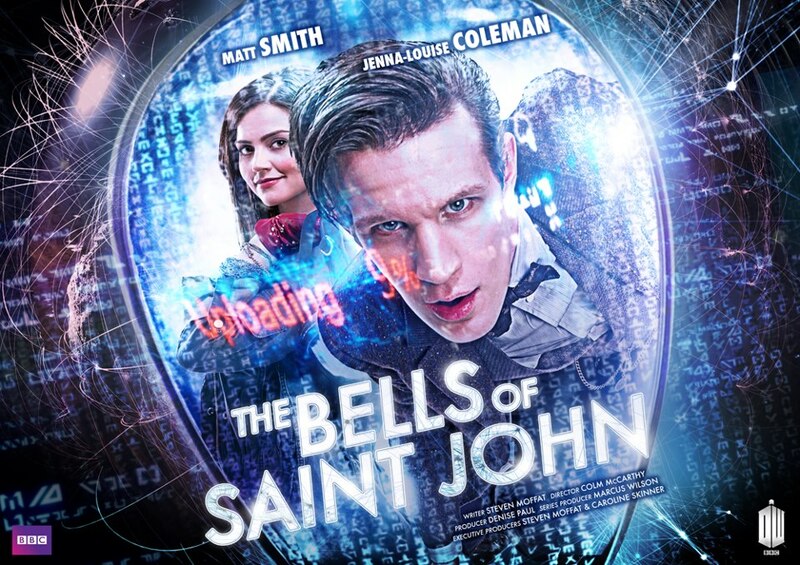 The new series of Doctor Who began on Saturday 30th March 2013 with a jazzy new theme tune and a redesigned T.A.R.D.I.S interior and starts with an episode called The Bells of Saint John. The episode starts with The Doctor (Matt Smith) eventually tracking down Clara Oswald (Jenna Louise Coleman) who has no memory of him or any previous events surrounding him, but soon finds herself in danger. Meanwhile a sinister woman named Miss Kizlet (Celia Imrie) is working as the boss of a shadowy corporation inside The Shard in London, who are able to hack into people’s minds through the WI-FI, mess with people’s heads, control them and make them behave very oddly, by using robots known as Spoonheads, which re effectively Moving Base Station disguised as people which are being used to hack into people’s minds in order to collect human thoughts and harvest human minds through the WI-FI and feed a being known as the Great Intelligence who requires a diet of human Brains in order to survive.